Like many people, this year you might be considering a fresh start, from changing jobs, to a change of career path, or your very first job after leaving school or uni. The one thing you will definitely need is an outstanding resume. Perhaps your current resume is looking very tired and perhaps outdated, so it’s not what you want to show people when you start looking for employment. You want a modern, up to date and eye-catching resume. Are you happy that your résumé is really up to scratch? Does it have all the Information you need? Will it have the strength to help knock down doors and get you that much needed interview????? Did you know that many recruiters will assess your resume in less than 30 seconds that is a very scary fact! So if your resume doesn’t grab attention quickly you can kiss that interview, and chance of employment goodbye. The only way you have a chance at getting an interview is by surviving that initial vetting process – so – how do you achieve that? You need to have a professional looking resume and cover letter that can make an impact, a statement about you and motivate those doing the hiring to call you in. You’re in deep trouble if you’re not really sure what constitutes a professional or impressive resume. You need a resume that outlines not only your previous experience but also highlights your key skills, achievements and strengths. 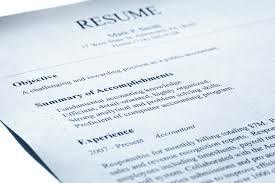 Basically you need a resume that is tailor made for the job you are applying for, it must be streamlined, contain all the relevant information, and be error free and eye catching. Telling the employer who you are and why they should pick you. It doesn’t matter if you know you are perfect for the job and have all the right credentials, trying to show that to an employer in writing isn’t easy! For many people having a weak resume is the one and only thing that holds them back from getting that employment or career they want or deserve. We know how important it is to have a professional cover letter and resume and the challenges involved in putting one together. We can help by writing a professional looking resume that takes all the hassles away from applying for jobs and increases your chances of gaining one of those much sought after job interviews. There is really nothing easier and you’ll be able to walk away with a professional resume and cover letter that you can be confident in, one that shows off the best of your skills and experience. The best career investment ever! A professionally written cover letter and resume is one of the best investments in your career you could ever make. It makes all the difference, and in today’s market you have to stand out, you have to show an employer what you have. Before they even see you face to face your cover letter and resume is the very first thing they see. Many will gain an idea of the type of person you are and if you are suited to the job or even suited to the working environment. Your resume reflects who you are! Please share your resume stories with us? Have we helped you? Did our service get you that job, what did you think of the comparison between your old resume and your new one. Do resumes really help? Do you think in interviews it comes down to personalities? We’d love to get your feedback, thoughts and ideas.